AlcoholDrugClass.com was developed Ari Novick, Ph.D., a licensed Psychotherapist and expert in the field of chemical dependency, anger management, and parenting. The courses found on this website are educational in nature aimed at increasing awareness of the dangers of alcohol and substance use, dependency, tolerance, and addiction. Our programs have been used by participants and accepted by courts throughout the United States as one of the finest distance learning Alcohol and Drug Awareness and MIP classes available in the world. This model is based on an educational approach, with the intent of changing thinking and educating the consumer regarding the risks of alcohol and drug use, abuse, tolerance, dependence and recovery. None of our courses are meant to replace or should be used to as a replacement for drug or alcohol treatment, medical or psychological advice, in-patient treatment, AA, MA, NA or other relevant programs. We offer 8, 12, 16, 20, 24 and 32 hour (level 1, 2 and 3) alcohol and drug awareness classes as well as minor in possession (MIP) classes. Customized class lengths are available. Please contact us for more details. Understanding the relationship between stress and drug and alcohol use. Develop skills to communicate feelings and needs more effectively. Develop increased "emotional intelligence" including the skills of empathy and increased social awareness. Differences between different categories of Drugs, such as stimulants, methamphetamines, narcotics, etc. What creates addictiveness in us and who is most at risk for dependency? How to develop a Plan for sustained positive change. All students participating in AlcoholDrugClass.com will receive a certificate of completion when the course has been finished. Proof of enrollment and progress reports are also available. We stand behind all of our products and programs. While many participants take online alcohol and drug awareness or minor in possession classes for personal or occupational reasons, others may take them for a court, probation or other legal requirement. If you are not completely satisfied with the quality and acceptance of our programs for a court or legal requirement, we will refund your money in full with written proof of decline. Refund request must be received within 60 days of purchase. You must either mail, fax or email this documentation to our office. Our classes meet requirements in many states for persons required to complete an Alcohol or Drug Awareness class due to a citation for minor in possession of alcohol, minor consumption of alcohol, possession of drugs or paraphernalia. It is your responsibility to confirm with the judge, DMV, probation, or your attorney as to whether our distance-learning Alcohol and Drug Awareness program will meet your requirements. Please click here for information on acceptance in your state. 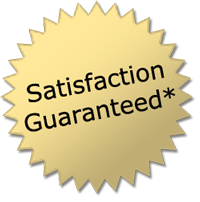 This guarantee is not applicable to an assessment/evaluation purchase. See our separate Assessment Policy below. Our Certificate of Completion comes on an official form commonly used by Alcohol and Drug Awareness and MIP programs. It simply states "Alcohol and Drug Awareness Program Certificate of Completion" or "Minor in Possession Program Certificate of Completion". Also included on the certificate is your name, date of birth, case number (if for court), address, phone number, and number of sessions completed. We use the same certificate for all of our programs.